According to research, almost 70% of people turning 65 will need long-term care at some point in their lives. Thus, it is important to plan for the unexpected costs associated with long-term care. Long-term care insurance helps pay for the cost of long-term care, which is generally not covered by health insurance, Medicare, or Medicaid. To learn more about long-term care insurance and if it’s a good decision for you and your family, contact Weinstein Wealth Insurance Solutions, LLC today at 732-407-8063. We can review your options and help you make an informed decision that benefits your financial future. Long-term care insurance helps pay for the cost of long-term care. It typically covers assisted living, home care, hospice care, nursing homes, and Alzheimer’s facilities. Most long-term care is not medical care, but rather help with basic personal tasks of daily living, such as bathing, dressing, and eating. 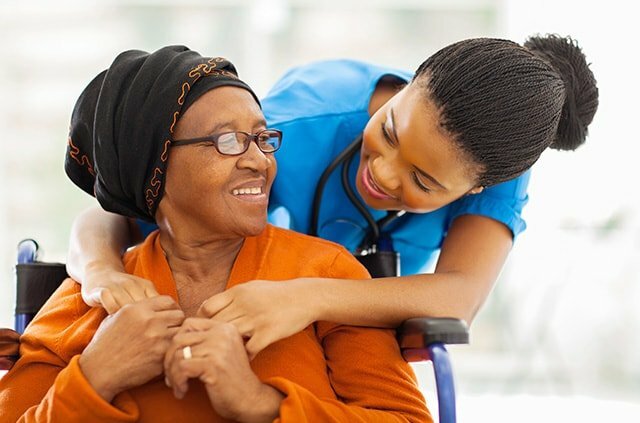 Long-term care can become necessary for various reasons: due to disability or chronic illness, after an injury, because of a cognitive impairment such as Alzheimer’s disease, or due to deteriorating mental or physical health. Long-term care is expensive, but you can protect yourself and your family with long-term care insurance. There is a wide array of options in long-term care insurance policies. It is essential to compare different plans and choose the right one for your needs and budget. Weinstein Wealth Insurance Solutions, LLC is dedicated to helping you do just that. 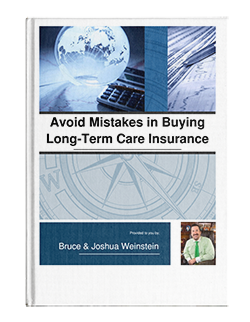 Bruce and Joshua Weinstein are well-versed in long-term care insurance and can help you determine what your needs are and how much you can afford in terms of benefits. To get started today, give Weinstein Wealth Insurance Solutions, LLC a call today at 732-407-8063. Our mission is to help you protect what matters most to you. We want to help you make the most of your Long-Term Care Insurance purchase, and help you avoid common mistakes in your purchasing process. Download our FREE brochure to learn more about your Long-Term Care Insurance options. Fill out the form below to gain access to a FREE brochure that will help you plan for your Long-Term Care Insurance.